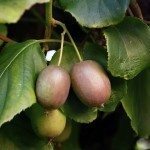 Can you grow kiwi vines in Phoenix, and if so, what type would you recommend? In your area you would be ok with growing the more familiar tropical kiwi (egg size, fuzzy fruit). Actinidia deliciosa can take temps down to about 15F, so if you do not see temps lower than this, you can grow this kind. 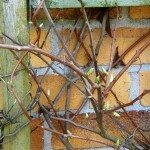 Keep in mind that you will need both a male and a female plant to produce fruit.